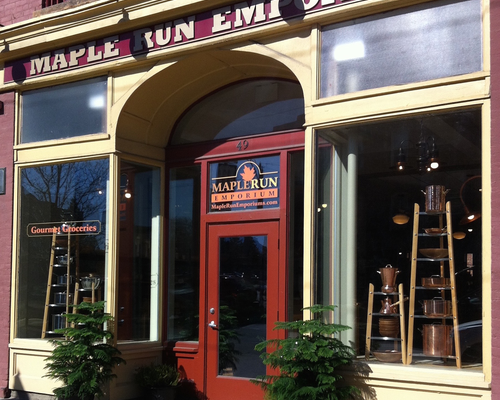 Maple Run Emporium is a gourmet grocery, kitchen store, and gift shop that features an eclectic mix of foods, cookware, textiles, cookbooks, utensils, scents, and an Artisan Gallery of handcrafted local baskets, woodturnings, pottery, and paintings. Maple products made from maple sap and maple wood are the shop’s specialty. Our ambiance transforms shopping to a delight.